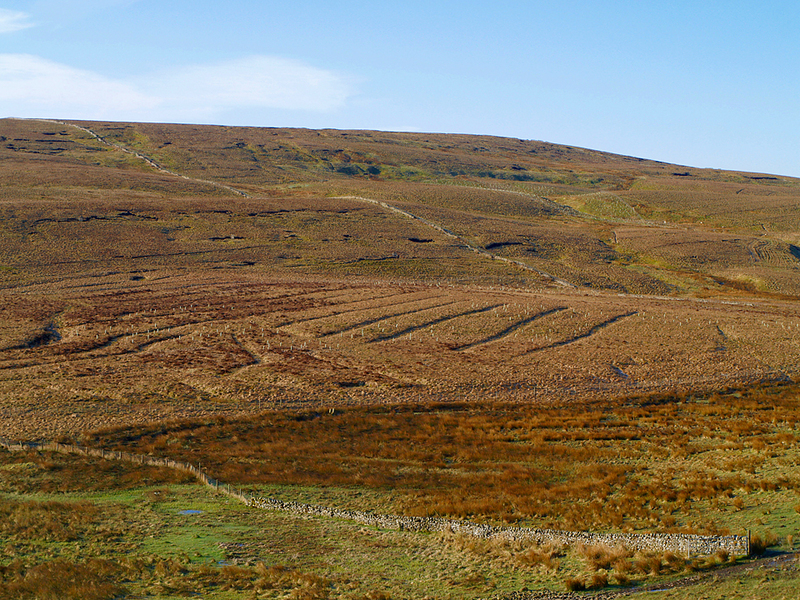 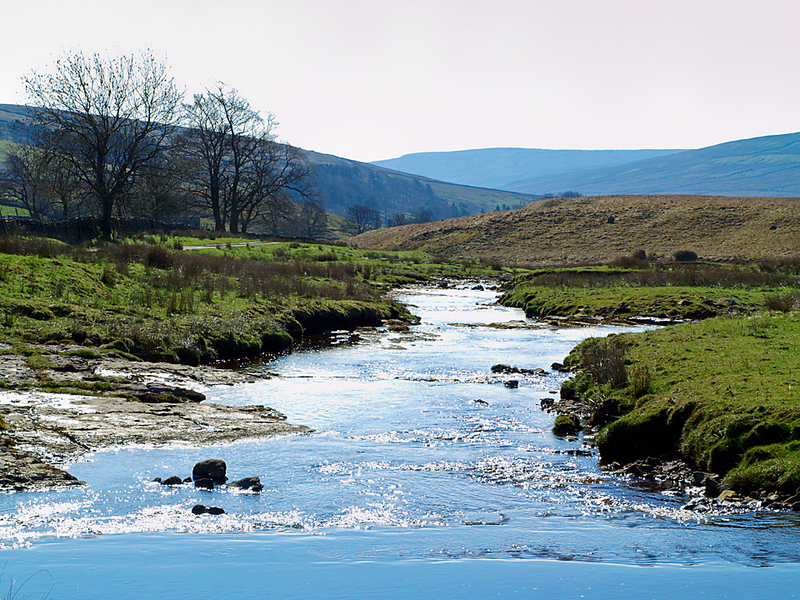 The River Wharfe has its origins in the boggy ground at Fleet Moss beyond Oughtershaw. 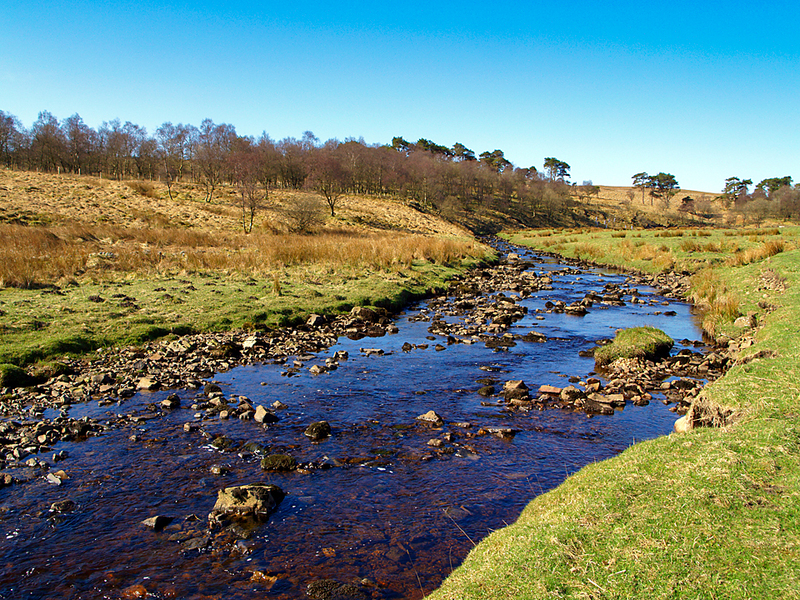 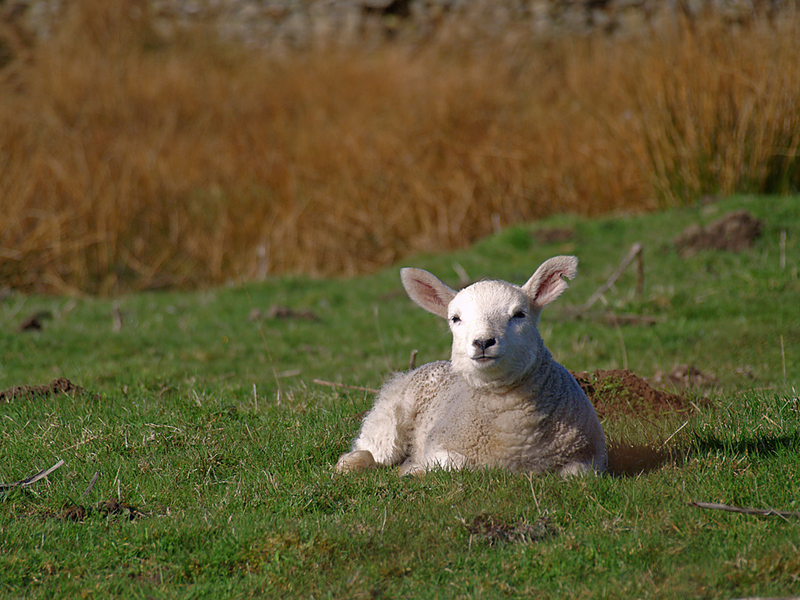 It starts life initially as Oughtershaw beck and becomes the Wharfe proper with the joining of the Oughtershaw and Greenfield becks at Beckermonds. 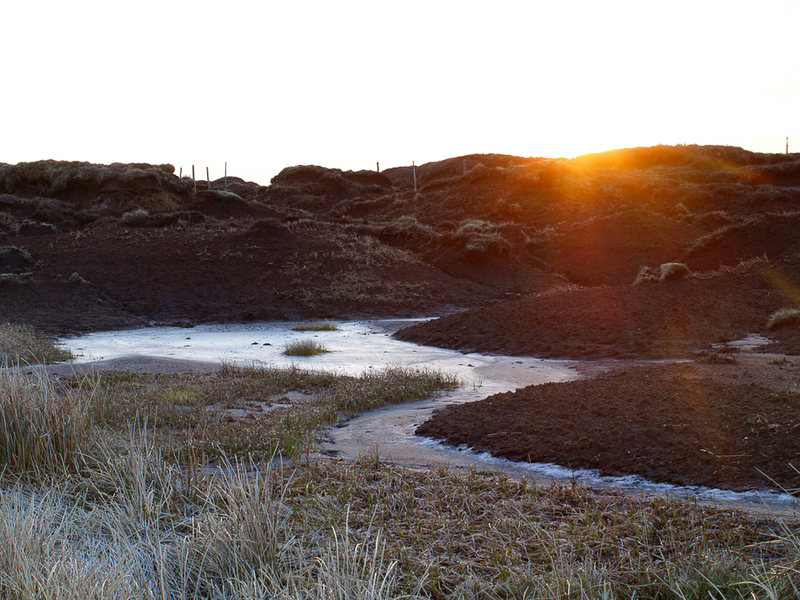 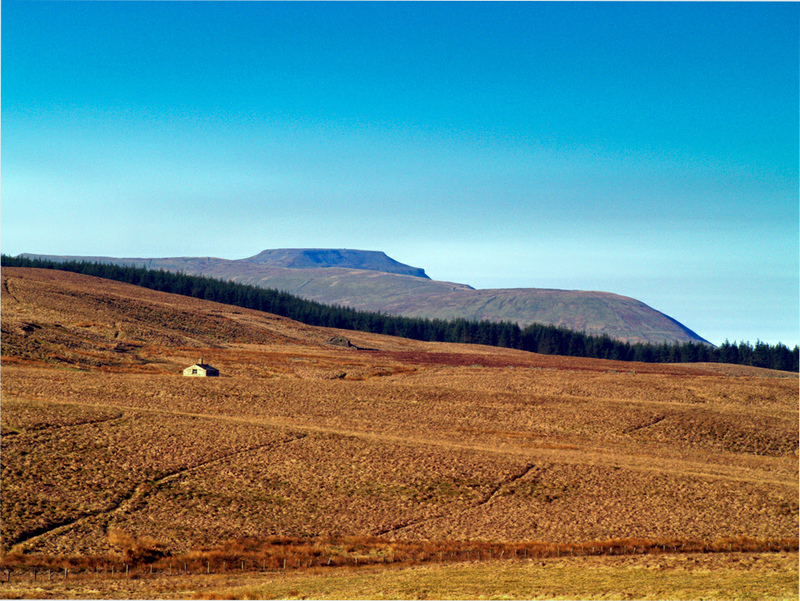 Sunrise over Fleet Moss. 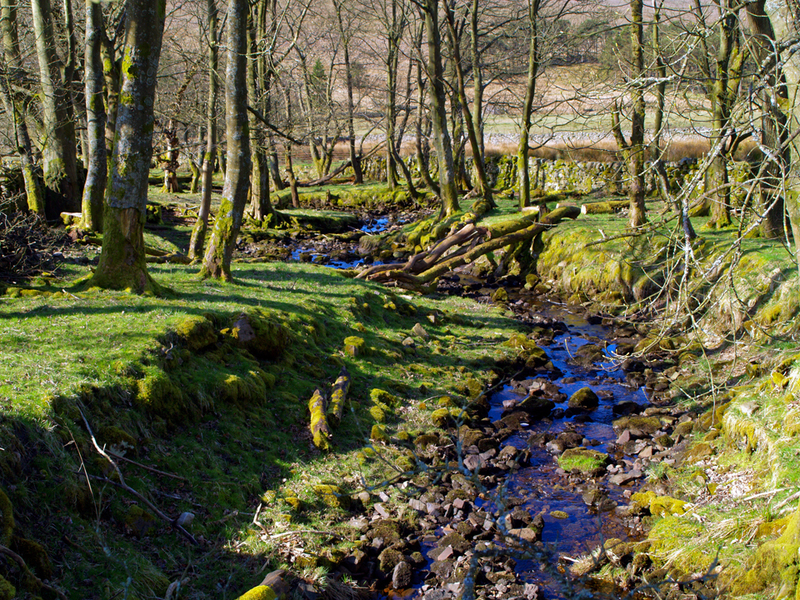 The origins of the River Wharfe. 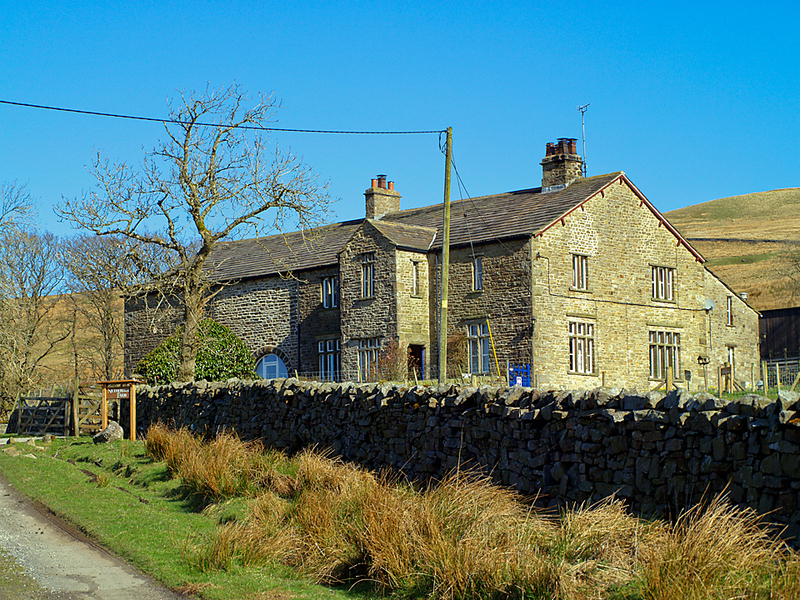 Nethergill farm. 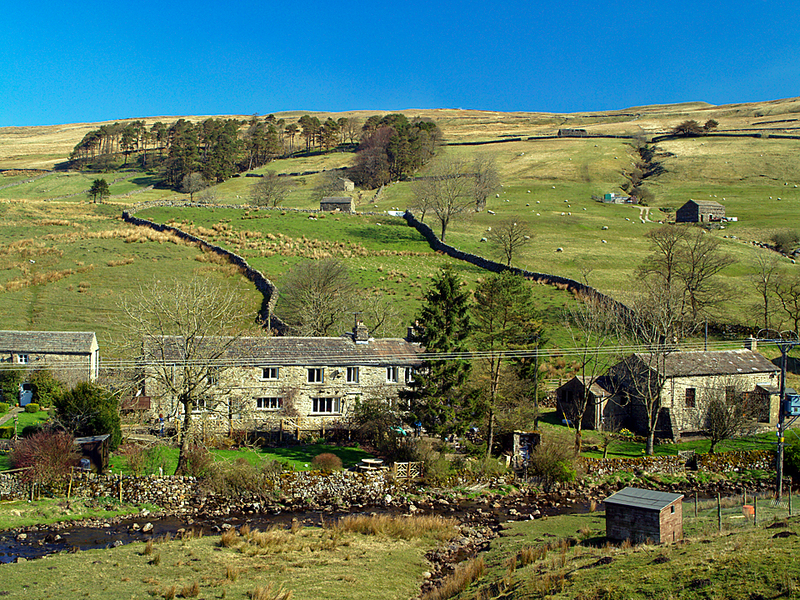 One of the first farms in the dale.